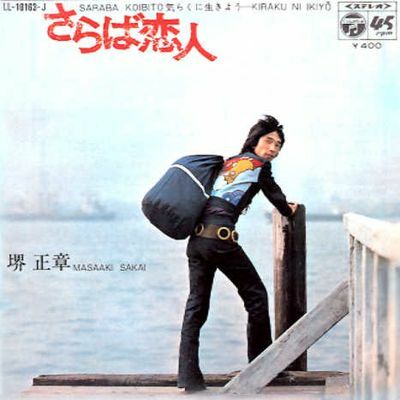 Masaaki Sakai (堺 正章) born August 6, 1946 is a popular Japanese performer from Tokyo. Born the son of Shunji Sakai, a famous comedian in Japan, he is best known to English-speaking audiences as the title star of the TV show “Monkey”. Sakai initially came to fame by fronting the group sounds band The Spiders. 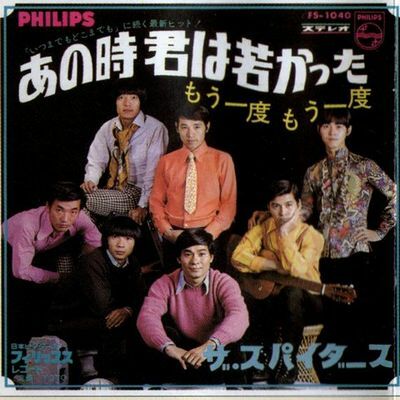 This group, formed in 1962, was popular throughout the 1960s; they spawned several hit songs as well as thirteen films. The films were comedies in the same vein as the American situation comedy TV series, The Monkees. Ironically, due to his later fame playing a mythical character named Songoku (Monkey), Sakai created a dance called “the Monkey” which became a craze in Japan. Sakai went on to a successful solo career after The Spiders disbanded, and continued acting in films and on television. He took the title role of Songoku (Monkey) in the 1970s Japanese TV program Saiyūki. This gained him fame in many English-speaking countries in the early 1980s when it was dubbed by the BBC and retitled Monkey. In 1999, he formed the band Sans Filtre with two former Spiders, Hiroshi Kamayatsu and Takayuki Inoue. They released their first album Yei Yei in 2000. © 2012 Natsumelo. All images are copyrighted by their respective authors.